Italy is the first country to exploit the European Union’s new-found weakness. Rome is pushing for a suspension of Brussels’ state aid rules to help it bail out its banks, reports say. It has leverage: if it doesn’t get some slack, the resulting mess could upend the euro zone. The UK is teetering on the edge of leaving after EU leaders refused to okay reform to the bloc’s immigration rules. Those come hand in hand with the single market, as does the concept of fair competition and limits on state aid. Italian media reports the country wants an emergency clause in the European treaty to ditch the latter and recapitalise its banks. The ideas seem to be either that the government will backstop capital increases, or a fund – possibly involving state bank Cassa Depositi e Prestiti – will buy bad loans off Italian banks at above market prices. Banks are saddled with over 300 billion euros of loans that Italian companies cannot pay back because the country has grown on average 0.3 percent since it joined the euro and governments have refused to reform its economy. They are unable to raise capital because investors fear poor growth and weak governance has stymied mergers. These are home-grown problems, and a poor justification for state aid. But Brexit has given Italy leverage. If the UK leaves the EU, there is a danger Italy’s radical 5-Star Movement and Northern League will sabotage a domestic referendum in October on constitutional reforms. 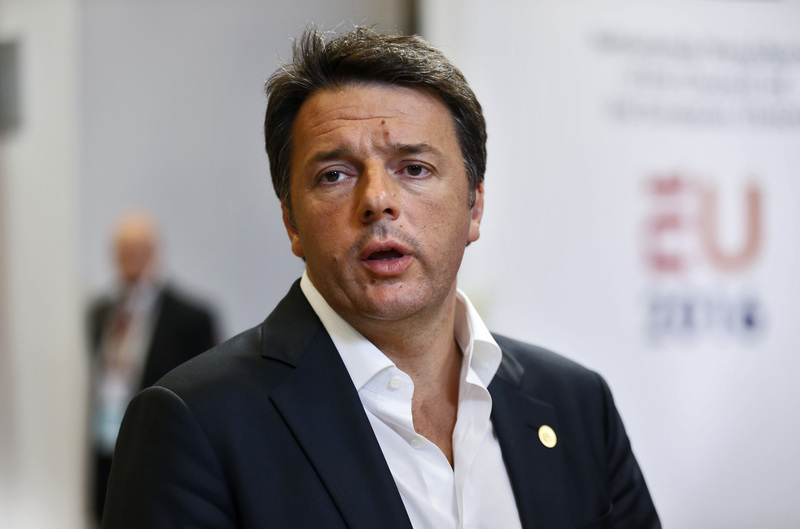 Prime Minister Matteo Renzi gambled by tying the referendum outcome to his own job, triggering political chaos if he loses. Italians see Brexit as a chance for Italy to be more assertive in Brussels and reshape euro zone economic policies. If Renzi gets nothing, they may be more likely to vote against him. The fall in Italian bank stocks, particularly well-capitalised Intesa Sanpaolo, is a sign markets are starting to worry about the euro zone breaking up. Italy may be able to construct a system that makes its carve-out acceptable. One idea is that many governments could use the exception – even if it will primarily be used by Italy, Portugal and Greece. Or it could involve some private capital, or require banks to restructure. The risk, however, is that a deal weakens EU institutions. The lesson for the UK may be that when it comes to Brussels negotiations, timing is more important than principle. Italian Prime Minister Matteo Renzi said he is in talks with European Union leaders and institutions on support measure for Italy's banks, Reuters reported on June 28. The government is considering asking for a six-month "corridor" to recapitalise its banks to avoid state aid rules, using Article 108 of the European treaties, according to La Repubblica. Article 108 allows governments to override state aid rules in "exceptional circumstances". The "corridor" would be open to all member states, according to La Repubblica. Leaders of 27 members of the EU will meet on June 29 to discuss policy after the UK voted to leave the EU on June 23.